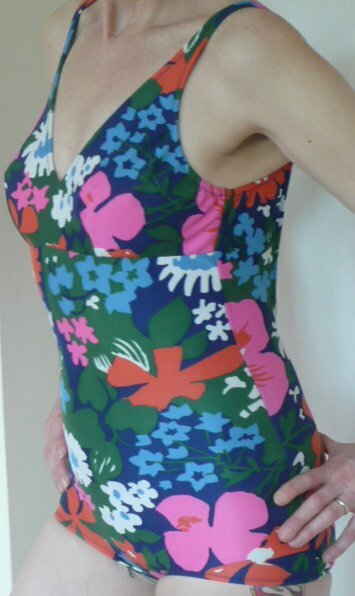 Vintage 1970s swimsuit by Oriano Mayogaine, Paris. 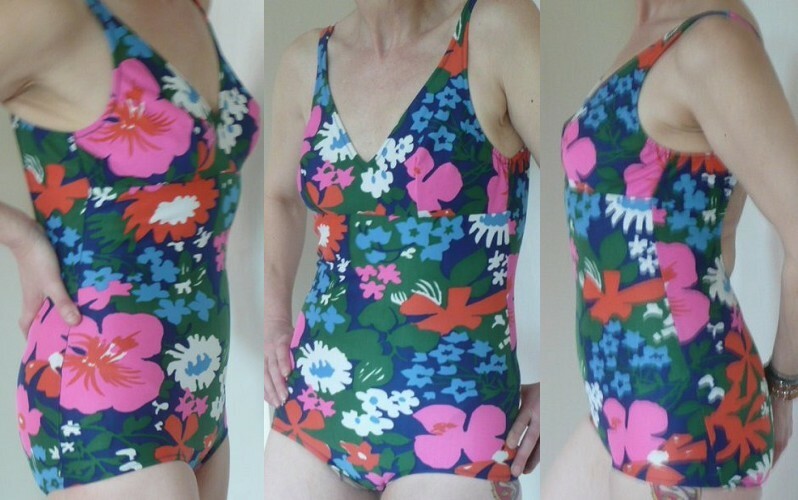 This swimsuit is in gorgeously zingy colours - the ground is dark blue, with pink, paler blue, orange and white flowers, and green leaves - and this swimsuit its also practical, with boy-legs and lined bust and crotch. 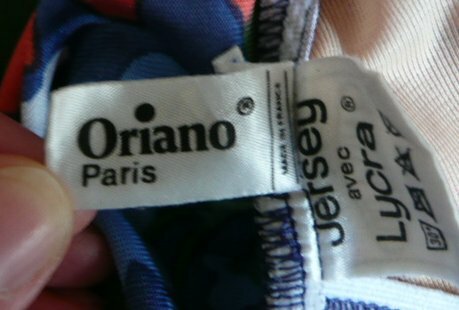 It's marked as a size 44: I'm not sure what that means, but it will fit a size 10 or 12. 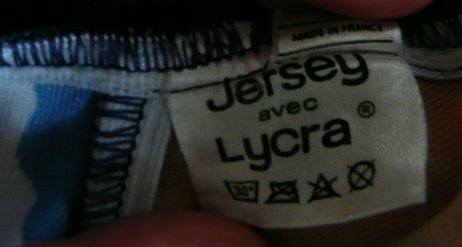 Other labels inform that it is 'made in France', from 'polyamide polyurethane' or 'jersey aved Lycra'. Although stretchy, it feels quite substantial. 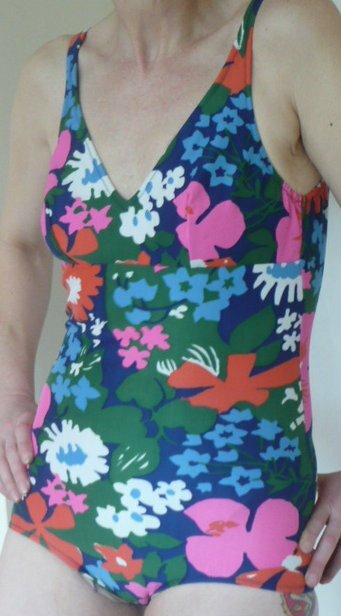 With its vee neck and low back, this will never be out of place - while being different enough to get you noticed! 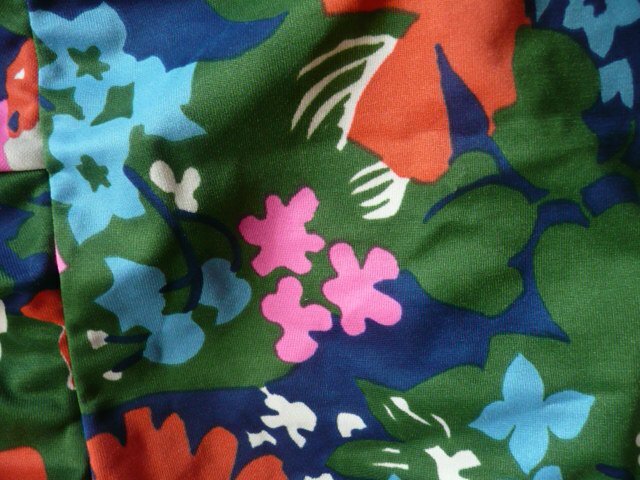 As far as I can see, it's in excellent vintage condition, with years of wear ahead of it: approximate measurements unstretched are: bust 30 inches/76 cms; waist 23 inches/58.5 cms; hips 30 inches/76 cms; length overall (front) 21 inches/53.5 cms.